Lauren Meriwether is originally from Brandon, Mississippi. She received a B.B.A. in Finance and Risk Management, Insurance, and Financial Planning from Mississippi State University in 2011 and a Juris Doctor from The University of Mississippi School of Law in 2014. 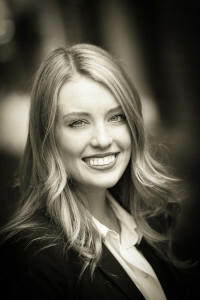 While in law school, Lauren served as Chair of the Trial Advocacy Board and was a member of the National Trial Competition team and the American Bar Association Employment Law Trial Competition team. She was selected as a member of the Order of Barristers, which recognizes students who have excelled in brief writing and oral advocacy, and the Dean’s Leadership Council. Lauren is an affiliate member of the Memphis Area Association of Realtors and currently serves as Treasurer for the Affiliate Council Board and Co-Chair of RPAC. She is involved with the MAAR Young Professionals Network and Women’s Council of Realtors and is a member of the Mississippi, Tennessee, and Memphis Bar Associations. Lauren is also a member of Second Presbyterian Church, Central Gardens Association, and the Junior League of Memphis.